Mark Angel is a popular Youtuber and online comedian in Nigeria. In this post we are going to take a look at the biography of mark angel and his net worth. Mark Angel is the founder the viral YouTube channel in Nigeria called the ''Mark Angel Comedy''. Mark disclosed that he is a school drop out,he didn't have enough funds to sponsor his admission after he was offered an admission to study medicine at Obafemi Awolowo University in 2008. According to him,his uncle who was supposed to pay his school fees passed on,Mark had no other option that to forfeit his education. He later travelled to Lagos to stay briefly with his friend,after a short period of time,he used his savings to travel to India to study cinematography. After six months of studies,he returned back to Nigeria in 2010. On his return Mark Angel started working in Nollywood as a movie editor and director of photography (DOP). He later decided to quit the job after working in Nollywood for some time. 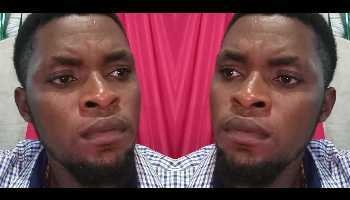 He met fellow comedian Denilson Igwe and together the founded the mark angel comedy,an idea that was suggested by Denilson Igwe,this was between 2012 - 2013. Afterwards the duo started publishing funny video skit and pictures. After some months,his YouTube videos went viral,he currently has over 2mmillion subscribers on his YouTube channel and 3 million followers on his official Facebook page. His videos went viral mostly because of his talented niece Emmanuella Samuel who features in almost all his comedy videos. His breakthrough came after he released some funny comedy skits featuring Emmanuela,some of the skits include ''“Oga Landlord” and some other funny viral skits. The comedian disclosed that he would definitely like to go back to school sometime in the future but he won't study medicine but another course. Mark Angel and Emmanuella has received so many awards in Nigeria and outside Nigeria. Mark Angel has an estimated net worth of 60 Million Naira ($200,000).